May 31 is the world no smoking day. It is intended to encourage a 24-hour period of abstinence from all forms of tobacco consumption across the globe. The global tobacco epidemic had estimated that many chain smokers have higher risk of dying. 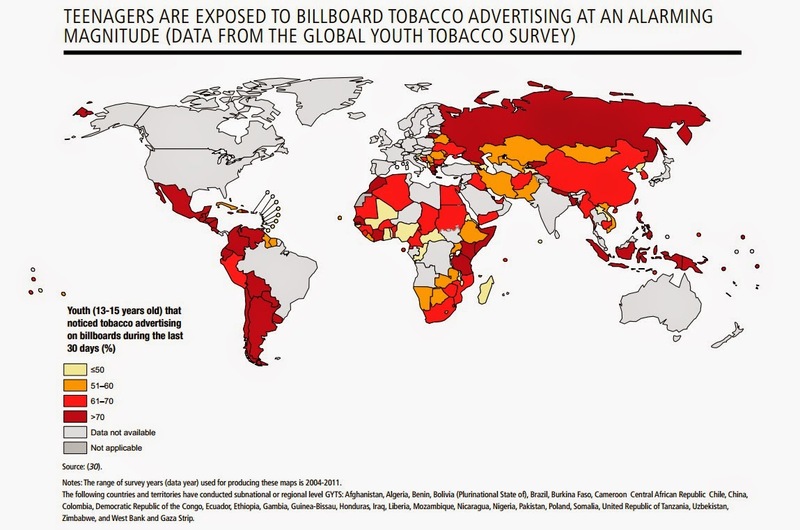 The WHO report on global tobacco epidemic 2013 stated that tobacco companies spend more then 10 billion US dollars annually on tobacco advertising, promotion and sponsorship in which one third of youth globally experiments themselves to exposure of tobacco advertising, promotion (TAPS) and sponsorship. Dr. Oleg Chestnov Assistant Director General of WHO states that control of tobacco increases the the population 1 billion to would increase to approx double. Some of the interventions used such as high taxation, banned advertisements, warning levels pictures added etc. were some of the interventions. The effective control by using some interventions is given below. 24 countries including Nepal, has a complete ban on TAPS and they have strong policies on this. 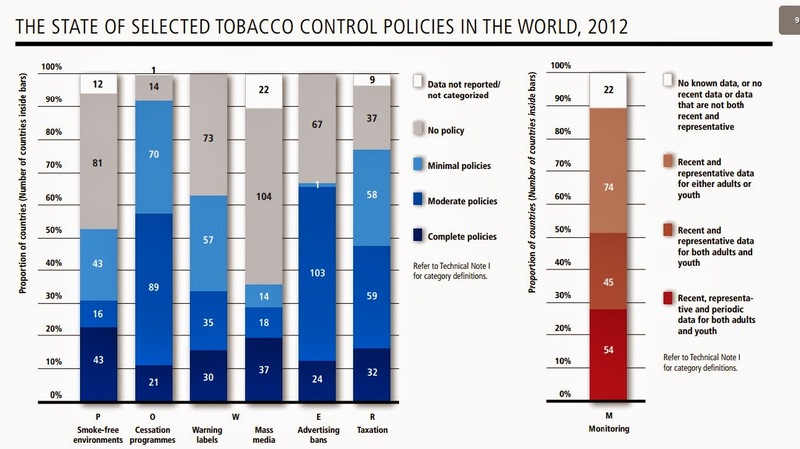 In the same way the figure below states that 81 countries has no policy on smoke free environments, 89 countries of the total countries has moderate policies on cessation activities, 73 countries have no policies on warning levels, 104 countries have no policies on mass media which is quite high, 103 countries have moderate policies on advertising bans and 59 countries have moderate policies on taxations. 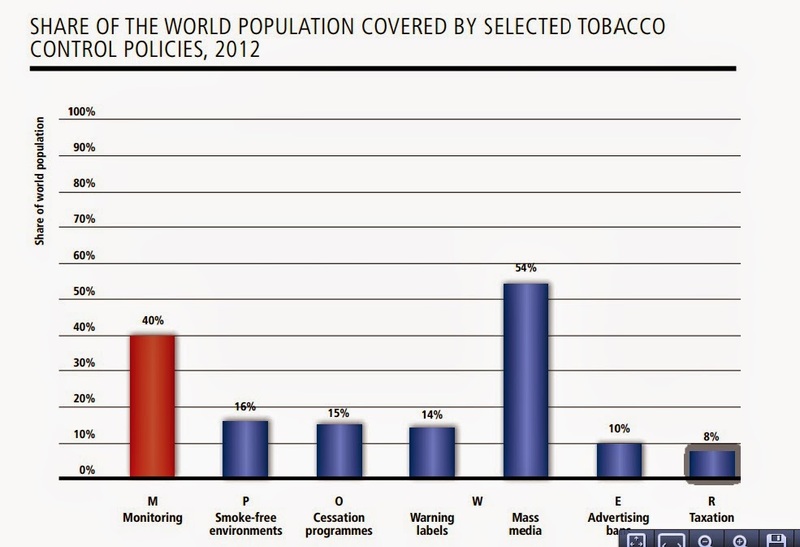 Monitored among 195 countries 74 countries representative data are either youths or adults which is quite high. The survey from global youth tobacco survey from 2004-11 stated that the youths from the developing and underdeveloped are high tobacco users in the teen age period. 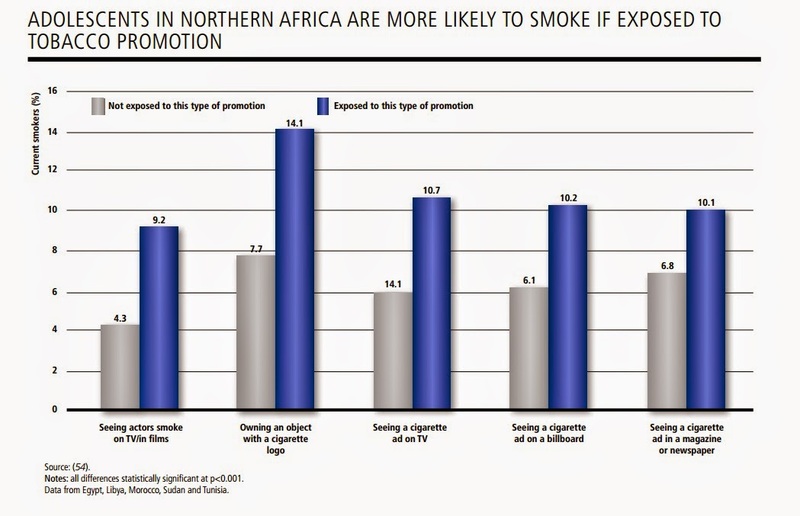 Similarly a survey done in Africa stated that 14.1% of the current smokers in Africa are exposed to smoking by owning an object with cigarette logo. 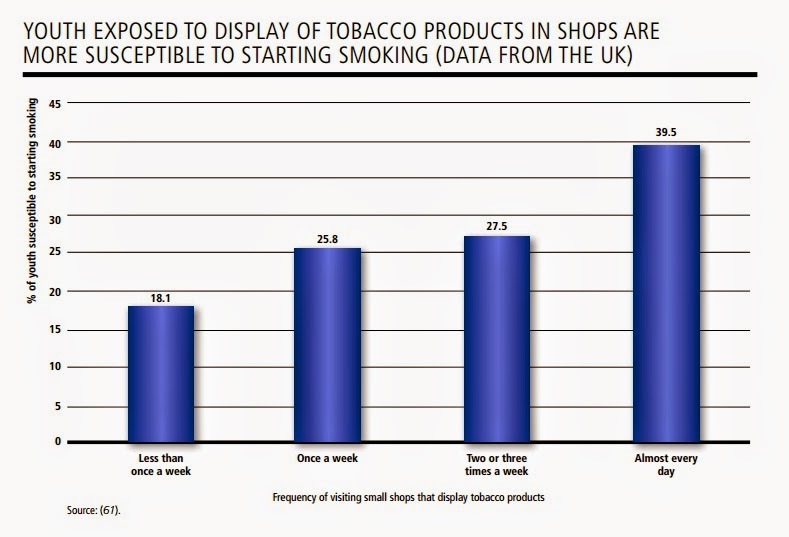 Similarly other exposed promotion can be found out in the figure and in the UK 39.5% of youths are exposed to tobacco every day. This was the data from the UK shops. A survey done in the 6 European countries drew a common conclusion that 36% among the smokers are inspired from the films and movies. Smoking has a greater effect in health and the companies are investing lots of money. After all these Turkey is the only nation that had achieved in tobacco control. The first anti-tobacco civil society movement was started in the year 1991 and tobacco control bill was vetoed in the year 1991 and tabled in the year 1992. Later in the year 1996 tobacco control legislation was enacted which was successful. Later in the year 2002 the country established tobacco and alcohol market regulatory authority (TAPDK) and signed to WHO Framework Convention on Tobacco Control (FCTC) in the year 28 April 2004. Later Ministry of Health formed a national tobacco control programme and implementation plan which was substantially strengthen in the year 2008. After all this activities a remarkable achievement was seen. The death rates overall, in men and in women got reduced. In context to Nepal there is a bad habit of not keeping data so we are not able to know how many people are died through the tobacco use. The TAPS is being banned but there are other attractions where youths get attracted in tobacco. Its been estimated that the beginning of tobacco use in youths starts from grade 7 or 8 in regular tobacco users. So now the Nepali movie and music videos are such examples where youths are attracted in tobacco. Recently a big pack on cigarettes has a cover picture attached related to cancer with a view to decrease the use of tobacco. Lets hope for a radical change in distant future. Turkey can be the good example to the other countries and developing countries like Nepal.